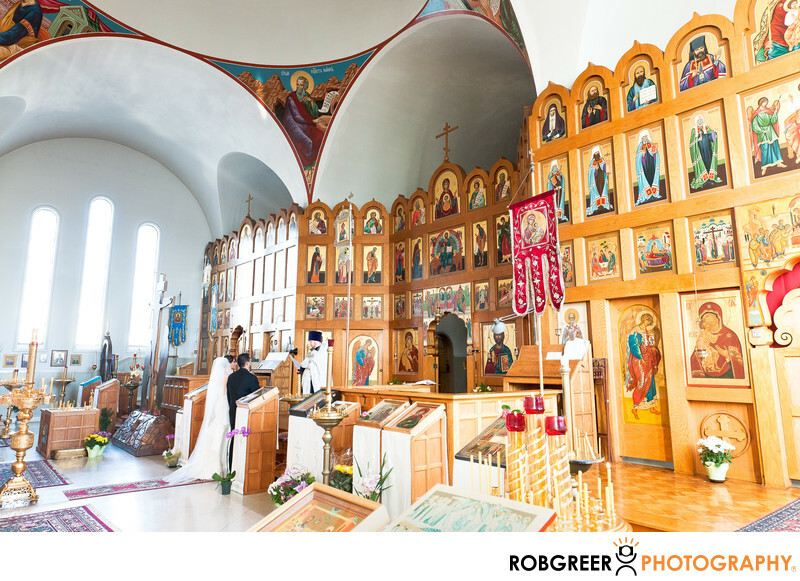 This photograph features an overview of a church wedding ceremony at the Holy Transfiguration Russian Orthodox Church. Holy Transfiguration Russian Orthodox Church is located at 5436 Fernwood Ave, Los Angeles, CA 90029. Phone: (323) 469-0366. Location: 5436 Fernwood Ave, Los Angeles, CA 90029. 1/80; f/4.5; ISO 2000; 24.0 mm.